Trendlines ranked #1 on The Most Active Venture Funds in Israel, “Israel AgriFood Tech Investing Report” (PDF), released by AgFunder and Start-Up Nation Central. Congratulations to our partners: The Mayo Clinic (#1), Singapore General Hosp. (#3), and Sheba (Tel Hashomer Medical Center) (#10) made the 10 Best Hospitals in the World list. Chairman and CEO Steve Rhodes presents The Trendlines Group to the Trendlines Open House participants on 3 March. The open house was part of the Our Crowd Summit week events. On 26 February, we welcomed representatives of the National University of Singapore (NUS) to our Misgav headquarters. 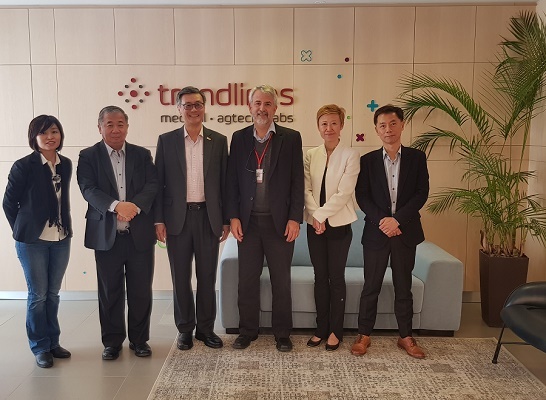 Pictured (l to r): Director, Ecosystem Development (Incubation), NUS Enterprise Dawn Ng; Senior VP, Graduate Education and Research Translation Prof. Freddy Boey; NUS President Prof. Eng Chye Tan; Trendlines Chairman and CEO Steve Rhodes; Director, NUS Industry Liaison Office Irene Cheong; Director, Industry Engagement and Partnerships Prof. Soon F. Yoon. We released our 2018 Annual Report (PDF) on 21 March 2019. … Our Annual General Meeting will be held in Singapore on 29 April 2019. BioFishency completed a $2.4 million investment round. CoreBone and liberDi are now funding on Exit Valley. Hargol FoodTech is a Global Challenges Israel winner. Happy birthday! BioFishency celebrates birthday #5. 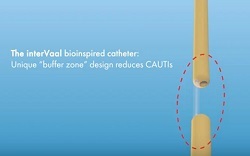 The “capsule cap” ostomy products developed by Stimatix are now on the market under the B. Braun Be 1® name. See the Be 1 video (French). VP Business Development Trendlines Agtech Sarai Kemp was quoted in DealStreetAsia. Escala Medical appeared in the Hebrew-language media, Calcalist and GeekTime. Phytolon was featured in Food Navigator. Vessi Medical appeared in BioTuesdays. See the interVaal product animation. … you may have a chance to present to international investors, industry professionals, and participants at AgriVest 2019. Apply now! Chairman & CEO Todd Dollinger, CEO Trendlines Labs Nir Goldenberg, Gordian Surgical, and Seger Surgical will attend SAGES 2019, Baltimore, 3-6 April. Seger will also exhibit at the conference. Vessi Medical CEO Eyal Kochavi will attend the American Urological Association’s 2019 Annual Meeting, Chicago, 3-6 May. AgroScout CEO Simcha Shore is a speaker and an exhibitor, Commercial UAV EXPO Europe, Amsterdam, 8-10 April. 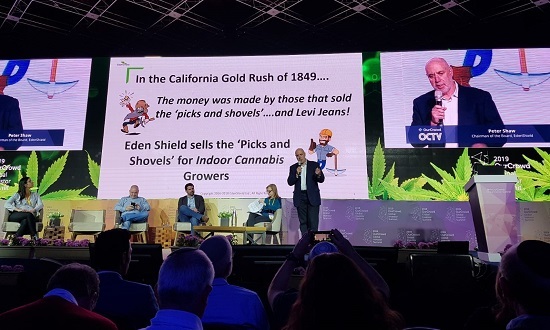 EdenShield Chairman Peter J. Shaw presents at the session Cannabis Revolution: Saving Lives and Changing Society, OurCrowd Summit, Jerusalem, 7 March. 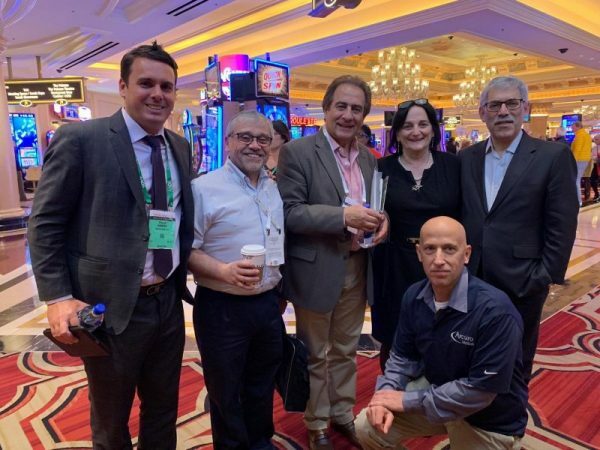 Arcuro Medical team members and orthopedic surgeons from Chile at the American Academy of Orthopaedic Surgeons (AAOS) 2019 Annual Meeting, Las Vegas, Nevada, 12-16 March. Pictured: (left) Arcuro Marketing & Bus. Development Consultant Peter Hamann, (2nd from right) CEO Lee Ranon, (right) Trendlines Chairman & CEO Todd Dollinger; (front) Arcuro Design Engineer Eran Zakai. 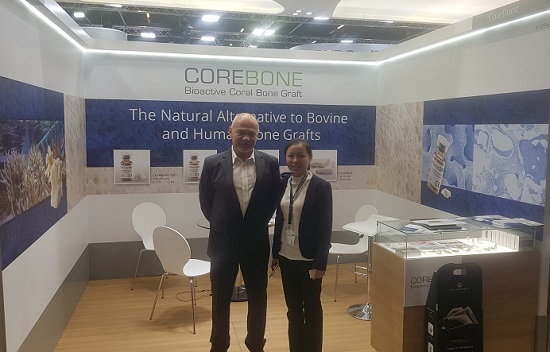 CoreBone CEO Ohad Schwartz and a dentist from Singapore in the CoreBone booth, International Dental Show (IDS), Cologne, Germany, 3-6 March.